Will This Change The Way You Read Books? When Walt Disney placed animated characters beside real people in the classic film, Mary Poppins, moviegoers didn’t believe what they were seeing. Disney had merged two forms of storytelling and made history in the process. So when I heard that Lee Wilson was doing something similar in the world of books, I jumped in my car and drove to the town of Spring Hill, Tennessee to get a look for myself at history in the making. But Wilson’s writing isn’t what will make history this month. And neither will a film based on a book. What might change the way that you and I read books, however, is that Wilson decided to finally make use of technology that your iPad or Kindle has had all along. He put film into the book itself. Have you ever wanted to see the character that the author saw in her head? I’m not referring to the way that movies spoon feed us characters and stories – often differing significantly from the book in the process. In the re-release of the e-book version of Wilson’s The Last Hybrid you’ll be able to read a scene and then actually watch certain ones without having to go to a theater. You’ll be able to see and hear the characters as they come to life from the words on the page. They’re calling it a film-enhanced e-book and the potential is mind boggling for this merging of media. Whereas the crowded world of feature-length film usually demands years of work and massive budgets to bring a product to a theater near you, filming selected scenes with big screen quality won’t require such significant investments of time and money. Fandoms don’t have to wait for the film or give up using their own imaginations. In some ways, they’ll get the best of both worlds. Though Wilson and the newly formed company, FilmRead Productions, chose to use live action (a.k.a. real actors), the potential exists for animated scenes to be used in e-books as well. 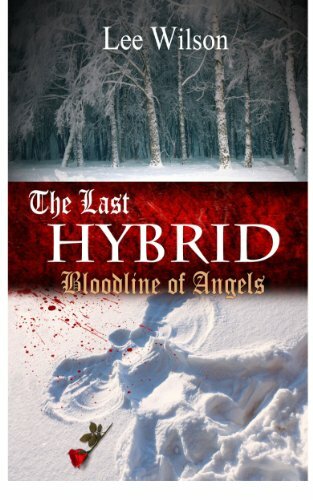 Be it live action or animation, film-enhanced e-books like The Last Hybrid will give faces to characters and assist with the overall feel of a story in ways similar to that of the silver screen but will allow that luxury to many more fandoms with less wait. In the case of The Last Hybrid, whose trailer you can see below, the scenes that are in the book have a Buffy type of feel to them in terms of lighting and pacing. Though not to be confused with a multimillion-dollar blockbuster film, the project is high quality and will likely be endearing to its fans. The acting is believable and carries over the feel of the novel itself quite well. Wilson, also an actor who has starred in SAG films and appeared opposite Brandi Carlile in her music video Turpentine, plays a lead character named Daniel, in The Last Hybrid himself. Putting videos into books might seem sacrilegious to some, but Lexi Blevins, who starred as Hannah, thinks that this new type of book will actually draw more people to books. Where a cartoon penguin kissing the hand of Julie Andrews in Mary Poppins brought children and adults to the same story through different mediums, film-enhanced e-books have the potential to give a “spoon full of sugar” to those who don’t enjoy reading as much as some of us. Seeing the characters come to life could be enough to get the nonreader to continue, spring boarding them into a lifetime love of reading. Perhaps one day we’ll look back and remember when such a concept was new and fresh. Just as the pictures came to life in Disney’s project, the pages will in Wilson’s, The Last Hybrid today.